Tuscan Foodie from TuscanFoodie.com, sent me this recipe for potato focaccia, which in Tuscany they call ”Schiacciata di patate” or Potato flatbread. The pictures I saw on the site made me want to try it right away. 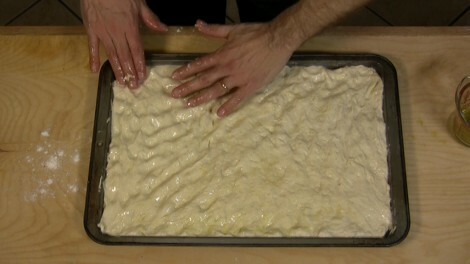 I’ve already made it a couple of times. 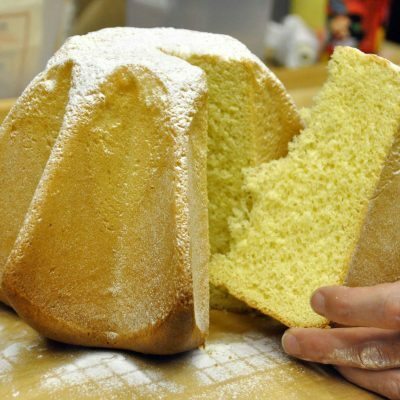 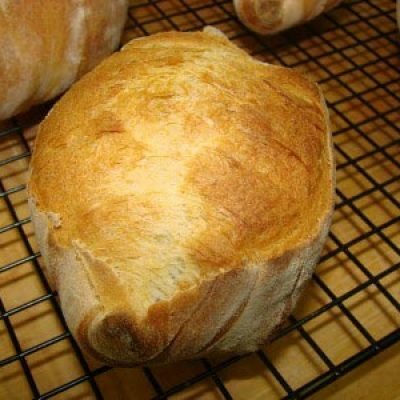 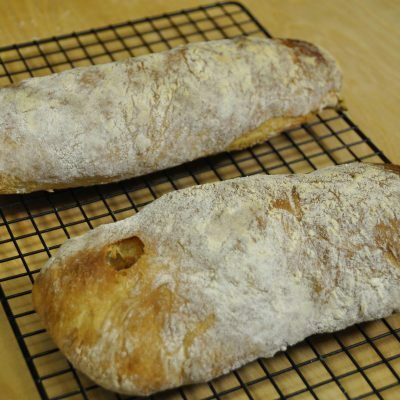 It’s quite easy to make without a mixer and it has a crunchy crust and soft, flavorful inside. 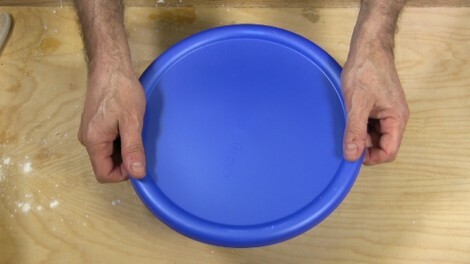 It’s great for making sandwiches with any kind of cold cut. 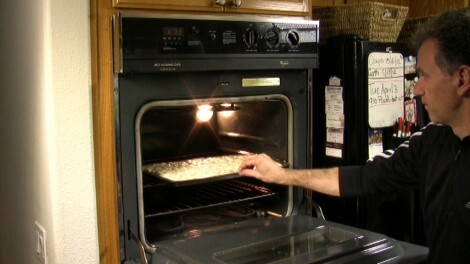 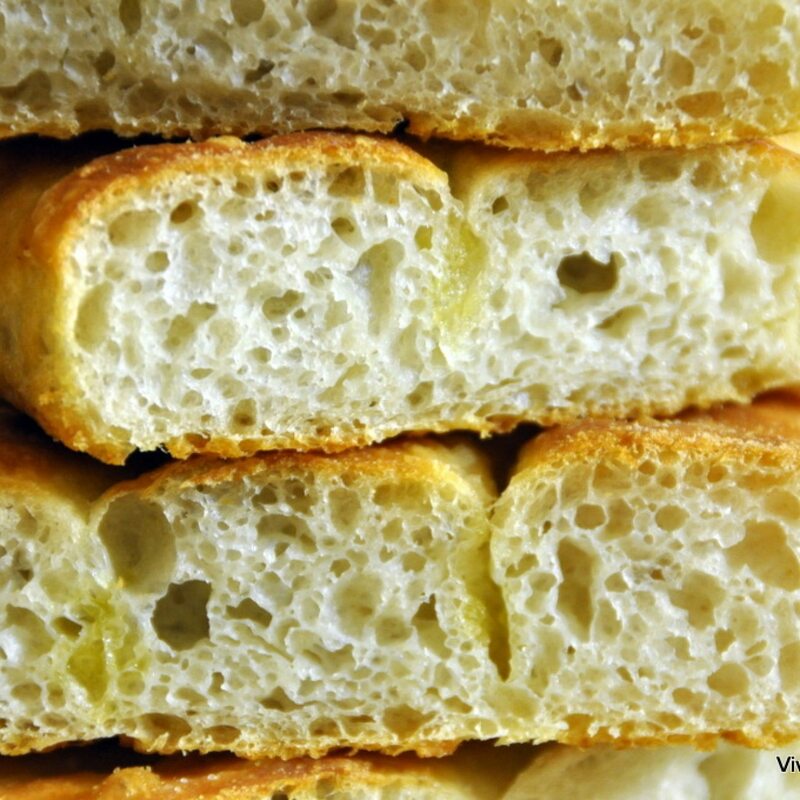 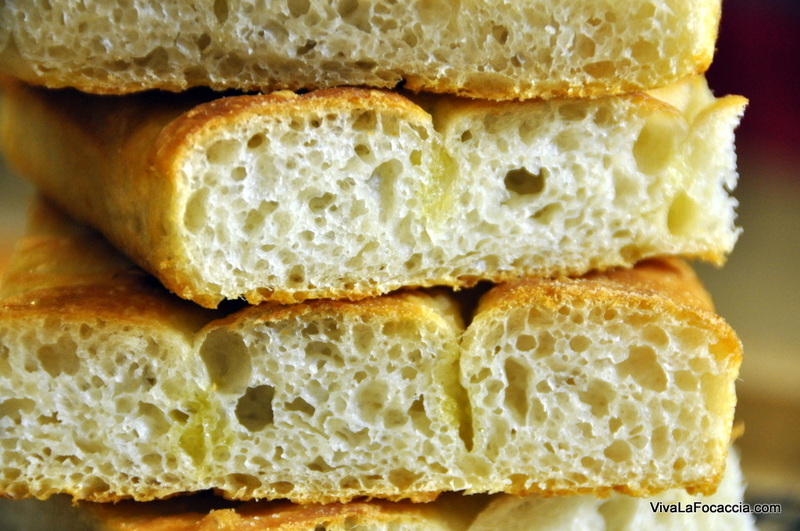 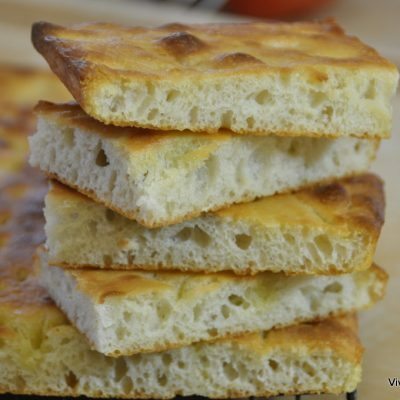 Click here to find all my other recipes for home made focaccia. 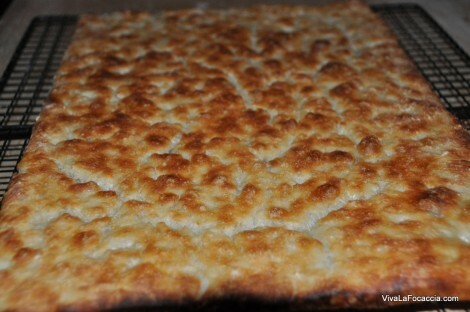 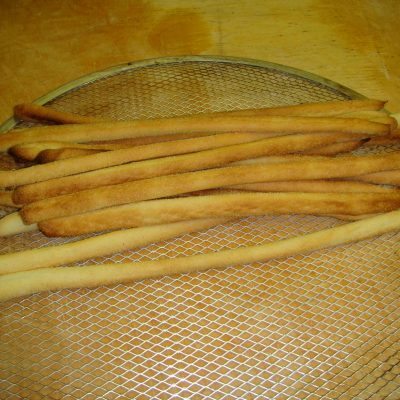 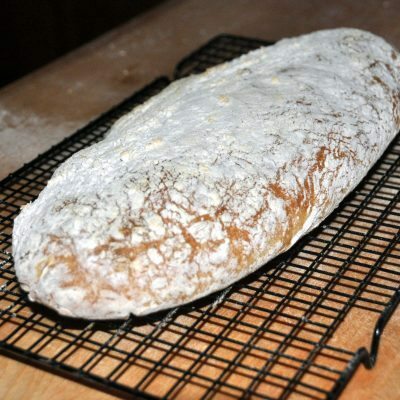 Click here to see the pictures from readers who have tried my recipes for focaccia or flatbreads. 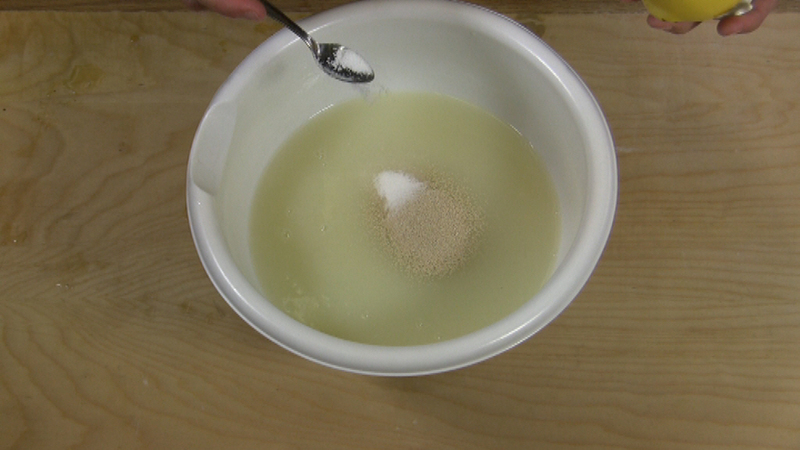 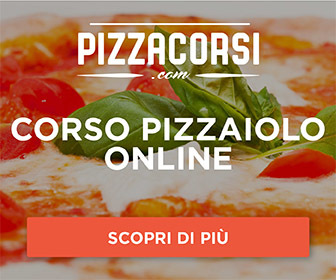 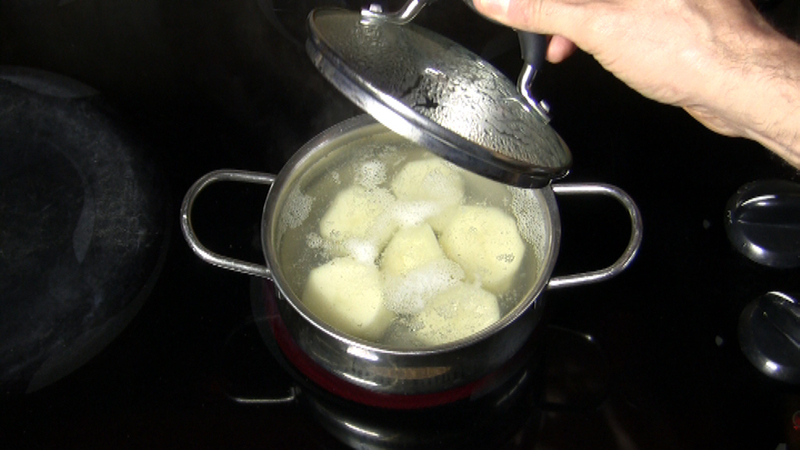 Here’s e video recipe, try it! For a 33X40 baking sheet. 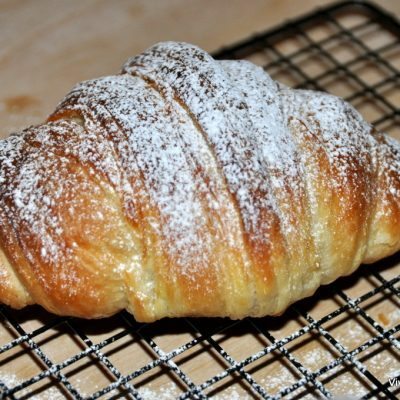 Scroll down to calculate amounts for different size baking sheets. 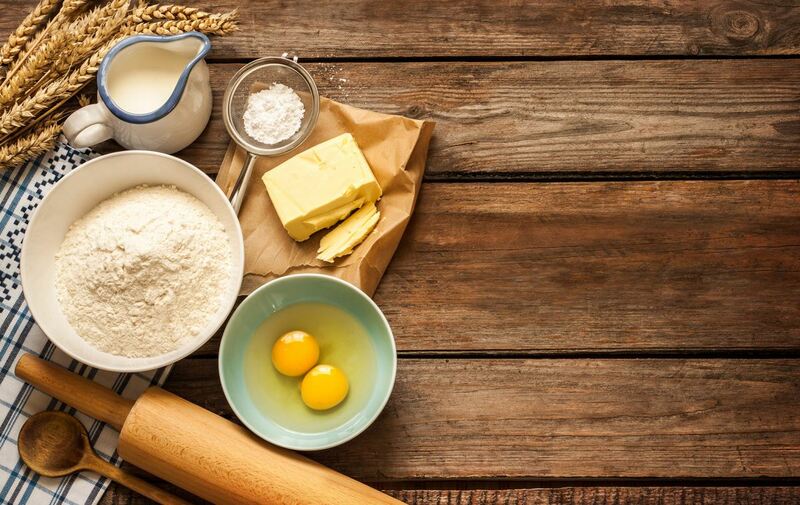 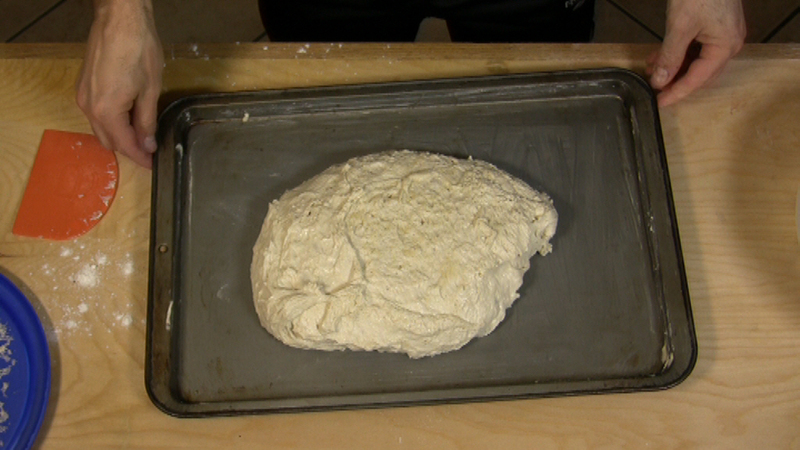 Use this program to calculate amounts for different size baking sheets. 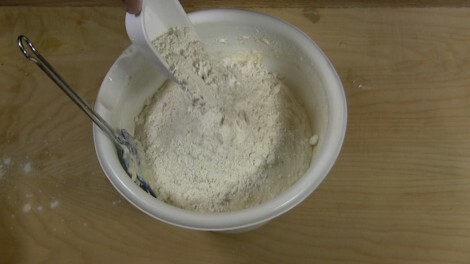 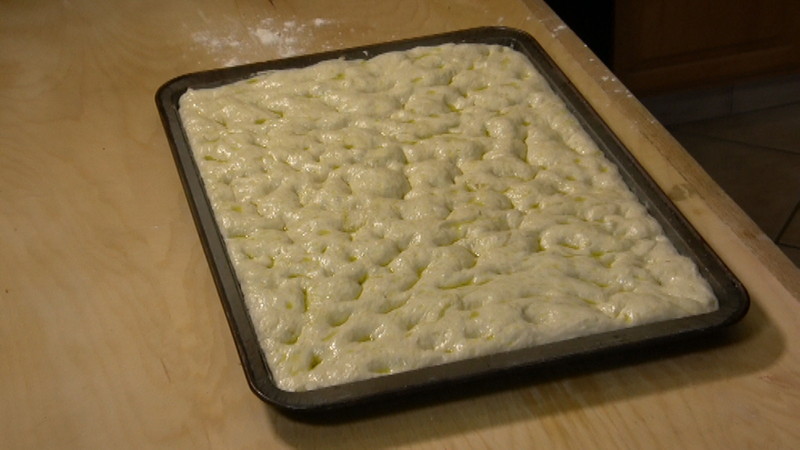 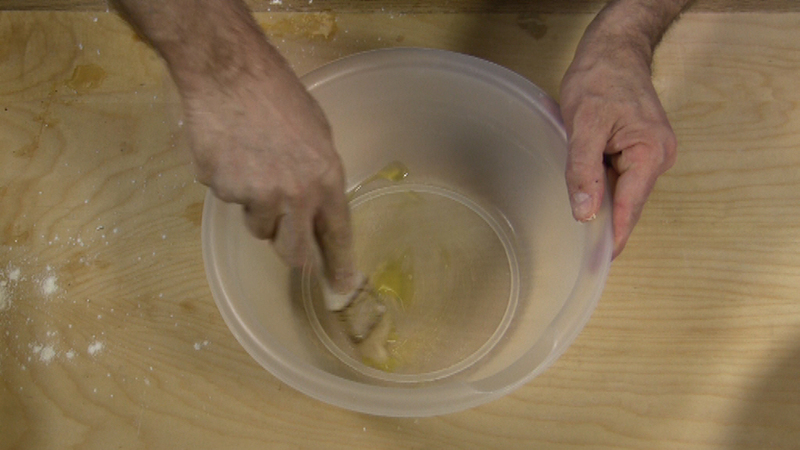 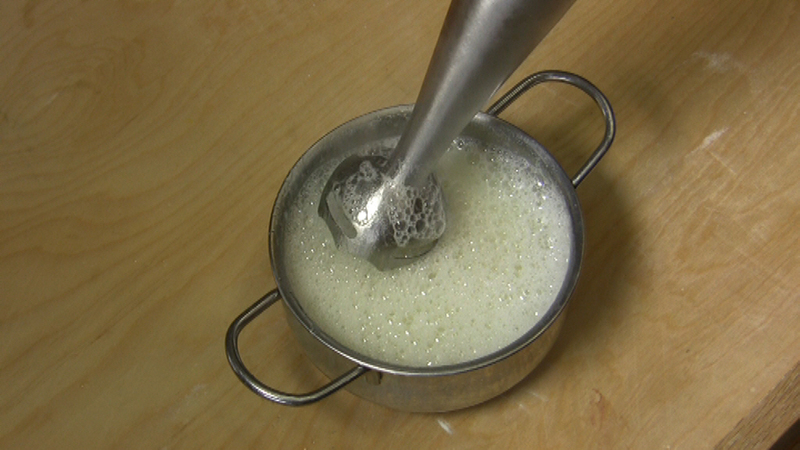 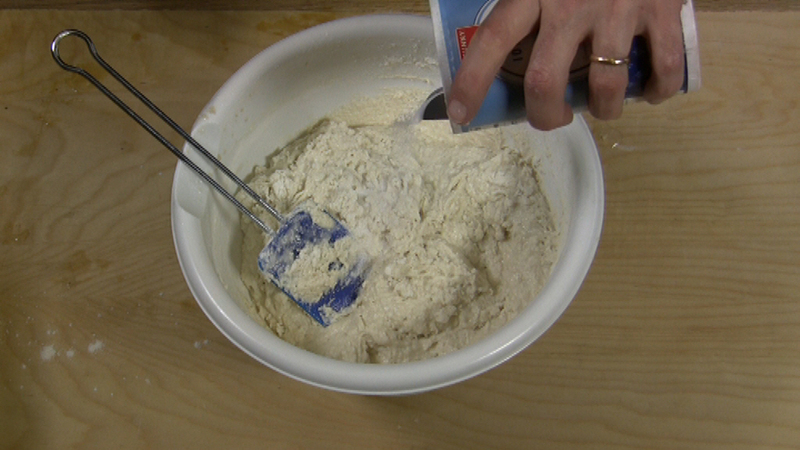 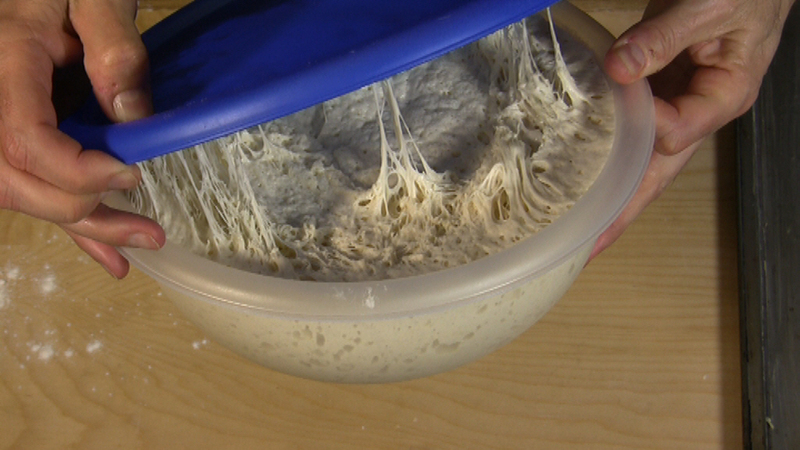 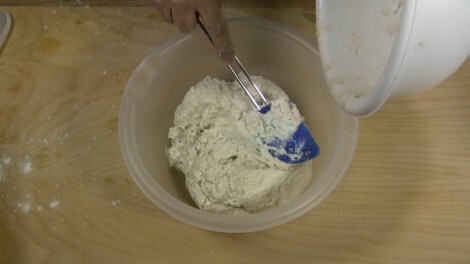 Pour the dough in the container, This has to be big enough to contain twice the volume of the dough. 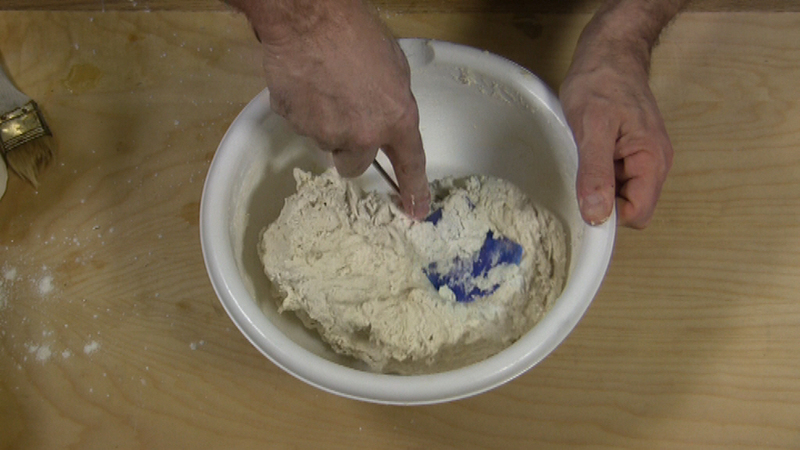 Cover and let it rise at about 25°C for 2-3 hours or until the dough doubles in volume.